Padmanabhan, M. S. and Dinesh-Kumar, S. P. (2014). The conformational and subcellular compartmental dance of plant NLRs during viral recognition and defense signaling. Curr Opin Microbiol 20C: 55-61. Park, E., Woo, J. and Dinesh-Kumar, S. P. (2014). Arabidopsis ATG4 cysteine proteases specificity toward ATG8 substrates. Autophagy 10(5): 926-927. Woo, J., Park, E. and Dinesh-Kumar, S. P. (2014). Differential processing of Arabidopsis ubiquitin-like Atg8 autophagy proteins by Atg4 cysteine proteases. Proc Natl Acad Sci U S A 111(2): 863-868. Ma, S., Shah, S., Bohnert, H. J., Snyder, M. and Dinesh-Kumar, S. P. (2013). Incorporating motif analysis into gene co-expression networks reveals novel modular expression pattern and new signaling pathways. PLoS Genet 9(10): e1003840. Padmanabhan, M. S., Ma, S., Burch-Smith, T. M., Czymmek, K., Huijser, P. and Dinesh-Kumar, S. P. (2013). Novel positive regulatory role for the SPL6 transcription factor in the N TIR-NB-LRR receptor-mediated plant innate immunity. PLoS Pathog 9(3): e1003235. Ma, S., Bachan, S., Porto, M., Bohnert, H. J., Snyder, M. and Dinesh-Kumar, S. P. (2012). Discovery of stress responsive DNA regulatory motifs in Arabidopsis. PLoS One 7(8): e43198. Hayward, A. P. and Dinesh-Kumar, S. P. (2011). What can plant autophagy do for an innate immune response? Annu Rev Phytopathol 49: 557-576. Lee, H. Y., Bowen, C. H., Popescu, G. V., Kang, H.-G., Kato, N., Ma, S., Dinesh-Kumar, S., Snyder, M. and Popescu, S. C. (2011). Arabidopsis RTNLB1 and RTNLB2 reticulon-like proteins regulate intracellular trafficking and activity of the FLS2 immune receptor. The Plant Cell Online 23(9): 3374-3391. Zhu, X., Caplan, J., Mamillapalli, P., Czymmek, K. and Dinesh-Kumar, S. P. (2010). Function of endoplasmic reticulum calcium ATPase in innate immunity-mediated programmed cell death. EMBO J 29(5): 1007-1018. Padmanabhan, M. S. and Dinesh-Kumar, S. P. (2010). All hands on deck-the role of chloroplasts, endoplasmic reticulum, and the nucleus in driving plant innate immunity. Mol Plant Microbe Interact 23(11): 1368-1380. Zhu, X., Pattathil, S., Mazumder, K., Brehm, A., Hahn, M. G., Dinesh-Kumar, S. P. and Joshi, C. P. (2010). Virus-induced gene silencing offers a functional genomics platform for studying plant cell wall formation. Mol Plant 3(5): 818-833. Popescu, S. C., Popescu, G. V., Bachan, S., Zhang, Z., Gerstein, M., Snyder, M. and Dinesh-Kumar, S. P. (2009). MAPK target networks in Arabidopsis thaliana revealed using functional protein microarrays. Genes Dev 23(1): 80-92. Caplan, J. L., Mamillapalli, P., Burch-Smith, T. M., Czymmek, K. and Dinesh-Kumar, S. P. (2008). Chloroplastic protein NRIP1 mediates innate immune receptor recognition of a viral effector. Cell 132(3): 449-462. Caplan, J., Padmanabhan, M. and Dinesh-Kumar, S. P. (2008). Plant NB-LRR immune receptors: from recognition to transcriptional reprogramming. Cell Host Microbe 3(3): 126-135. Patel, S. and Dinesh-Kumar, S. P. (2008). Arabidopsis ATG6 is required to limit the pathogen-associated cell death response. Autophagy 4(1): 20-27. Burch-Smith, T. M., Schiff, M., Caplan, J. L., Tsao, J., Czymmek, K. and Dinesh-Kumar, S. P. (2007). A novel role for the TIR domain in association with pathogen-derived elicitors. 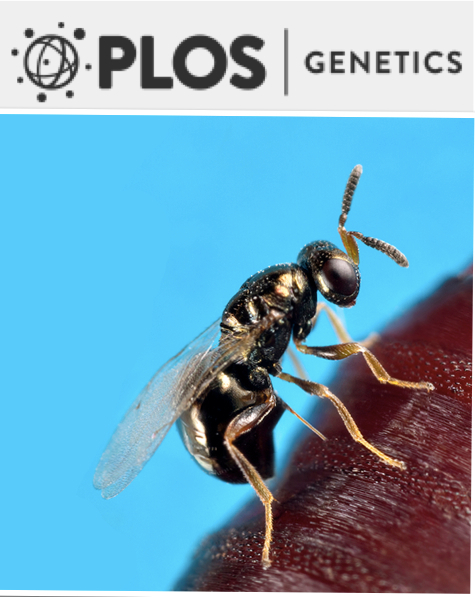 PLoS biology 5(3): e68. *Burch-Smith, T. M., *Schiff, M., *Liu, Y. and Dinesh-Kumar, S. P. (2006). Efficient virus-induced gene silencing in Arabidopsis. Plant Physiol 142(1): 21-27. Liu, Y., Schiff, M., Czymmek, K., Talloczy, Z., Levine, B. and Dinesh-Kumar, S. P. (2005). Autophagy regulates programmed cell death during the plant innate immune response. Cell 121(4): 567-577.